Now that we have built a consistent audience for this blog (300,000 views/month), we are welcoming sponsors and advertisers. Whether you are a small blog or big e-commerce site, we have a plan which is just right for you. 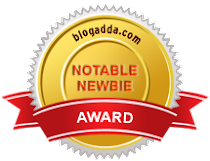 You can sponsor a giveaway on this blog.We would market this giveaway extensively via. all the social channels such as Facebook , Twitter, Pinterest etc. This will generate publicity and bring more customers to your website/blog/shop. I work as a model and have worked for catalogues for beauty and fashion brands. I am also experienced with makeup, hair and styling. Incase you are a clothing retailer , you could send me the garments and I can put together a beautiful look, which I would post on my blog and other social channels. Check out the lookbook to get an idea. Depending on the outfit and the feel of your store, we can create images catering to your target audience. For Instance, if you have vintage clothing, we can give a classy 1960's vibe to the whole look and images. We would then incorporate these images in a post which would consist of Outfit/look-of-the-day or depicting latest fashion trends or a tutorial on how to create a particular look . This would generate more awareness for your brand/store. Incase you are an accessories retailer , I can style the outfits with your accessories. We can do outdoor shoots right now. We are opening a small studio setup soon , and so will be able to shoot indoors as well. You can send products or there sample and I can review them. For this I can do a post or video or both, discussing it's uses, benefits etc. My review would be unbiased. Other than a review, I can use them to create a look with those.For instance, if I am sent a red lipstick , I can either do a review such a talk about its quality , price, do a swatch etc. , or I can use it to a create a pin-up look. We can place an advertisement on our blog with a link back to your site. The ad could be text or image and can be place anywhere on the sidebar (200 px * 200 px) . For more information please contact us via the contact form . If none of this seems to be working for you , we can customise a plan for you according to your needs.